The government on Monday notified reduction in power tariff for agriculture tube wells by Rs 3.50 per unit, while directions were issued to all the distribution companies (DISCOs) to restore the zero load shedding regime for the industrial sector. A notification issued by the Ministry of Water and Power notified reduction in off-peak power tariff for agriculture tube wells from Rs 8.85 per unit to Rs 5.35 per unit. The new power tariff becomes effective from July 1 and will remain implemented until June 30, 2017. The reduction in agriculture tube well power tariff was announced in the federal budget for the current financial year to bring the cost of production of the domestic agriculture at par with the neighbouring countries. The government also announced reduction in taxes on fertilisers to lower the cost of agriculture products. 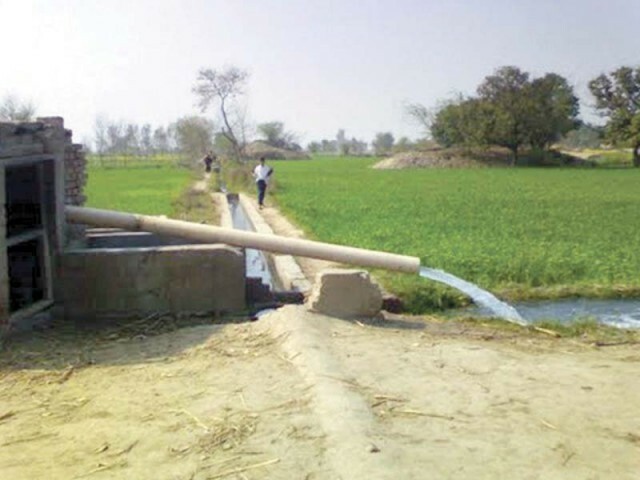 The notification said that the peak tariff for tube wells has been retained at Rs 10.35 per unit. The off peak reduction is not available for consumers in Balochistan, where the already subsidised power tariff is applicable. The difference in off-peak tariff and the tariff determined by the National Electric Power Regulatory Authority (NEPRA) will be borne by the federal government. An official source said the subsidy involved is not likely to be too high as it will be provided to only those landlords (big) who clear their bills in a timely manner and are not involved in power theft. Meanwhile the ministry also issued directions to all the DISCOs to restore zero load shedding regime for the industrial sector. The scheme was temporarily discontinued during the holy month of Ramzan, when non-stop electricity was provided during the Iftar to Sehr timings to the consumers. The government had already ended load shedding for the industrial sector last year.